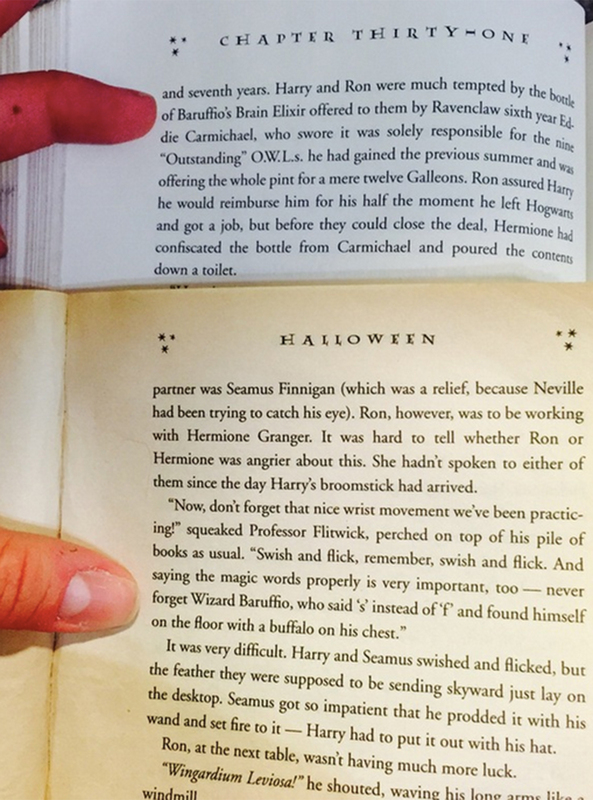 We’re forever finding out more and more hidden gems about the Harry Potter universe. Recently we’ve discovered the significance of Hermione’s patronus, that Dean Thomas was previously called something else, as well as the real meaning behind Snape’s first words to Harry. What’s more, there are endless fan theories swirling around the Internet that make us look at the series in a whole new way. The latest detail to blow the minds of Potter fans everywhere proves just how smart Hermione really is. She managed to save Harry and Ron many times throughout the seven books, and this little detail is another example of her doing just that. In book five, The Order of the Phoenix, Harry and Ron are tempted to buy a bottle of Baruffio’s Brain Elixir from a sixth year who promises it’ll help them perform well in their upcoming O.W.Ls. Before they can finalise the deal, however, Hermione snatches the bottle and pours the contents down the toilet. No doubt about it, J.K. Rowling is a genius who had Harry Potter planned down to the last tiny detail. The find is all thanks to Reddit user ‘sunshineallday’, who posted: ‘It’s a good thing Hermione confiscated it before you could buy it, Harry.’ It’s safe to say that you should always trust Hermione Granger. We’re impressed: The wizarding world never disappoints. What will we discover next?